Located near the corner of W Coca Cola Pl and N Business Park Dr, Extra Space Storage serves Tucson residents living near Tortolita, Flowing Wells, Casas Adobes, Rillito, and more. Locals will recognize our facility near Harkins Theatres Arizona Pavilions 12. With a wide selection of storage units, air-cooled storage, vehicle storage, and exceptional security, Extra Space Storage on W Coca Cola Pl is your go-to storage solution in Tucson! No matter what you plan to store, our Tucson storage facility has the ideal storage space for you! Units are available in sizes between 25 square feet and 200+ square feet with features like drive-up access. Our W Coca Cola Pl storage facility utilizes security features like electronic gate access and 24-hour video surveillance to provide customers with peace of mind when storing valuable items. Worried about storing sensitive items? Protect them from Arizona's extreme heat with an air-cooled storage unit. This amenity ensures your unit stays cool to safeguard items from high temperatures. 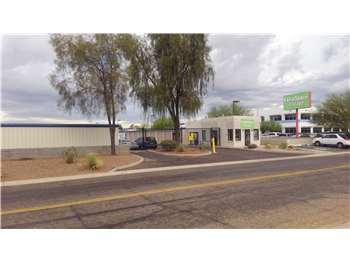 Looking for secure vehicle storage in Tucson? You can store cars, motorcycles, and boats at Extra Space Storage in our enclosed drive-up units or large outdoor parking spaces! At Extra Space Storage, you can expect reliable self storage and the best customer service in the industry! We work hard to deliver an incredible experience by maintaining a secure, clean facility at all times. If you have any questions or need assistance, don't hesitate to reach out to our friendly, professional staff. They truly care about your satisfaction. Contact us today to reserve a storage unit in Tucson! Extra Space provides clean, spacious, and affordable storage units with a top-flight staff to match. 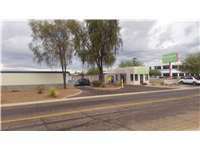 Excellent service with Chris in your Oro Valley, AZ location last year, which brought us back again this year. Highly recommend for cleanliness and pricing too! Extra space is a great storage facility with very courteous and helpful employees. I would highly recommend extra space for anyone needing space during home transfers or just that little extra space needed for the things you want to keep but just don’t have the room at home. Drive southeast on I-10 E. Take Exit 246. Pass Cortaro Rd and continue onto the I-10 frontage road. Just after Sargent Aerospace turn right onto Coca Cola Pl. Our facility will be on your right. Drive northwest on I-10 W. Take Exit 246. Turn left onto N Cortaro Rd. Then turn left onto the I-10 frontage road immediately after the I-10 overpass. Just after Sargent Aerospace turn right onto Coca Cola Pl. Our facility will be on your right. Drive west on Cortaro Farms Rd. Turn left onto the I-10 frontage road immediately after the I-10 overpass. Just after Sargent Aerospace turn right onto Coca Cola Pl. Our facility will be on your right. Drive southeast on Silverbell Rd. Turn left onto Cortaro Rd. Turn right onto Arizona Pavilions Dr. Pass the Harkins Theater, and turn left onto W Coca Cola Pl. Our facility will be on your left.